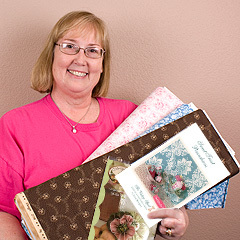 "I am an avid cross-stitcher of samplers and needlework smalls. 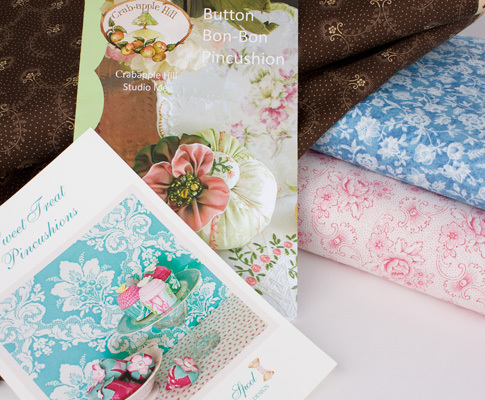 I look for fabrics that have an 1800's feel and prints that are small in scale to use as lining for needlework rolls, needlebooks, tins, and shaker boxes, or to make needlework accessories like pin cushions. I am surrounded by so much at the Fat Quarter Shop that it is hard to choose, but these are my 3 recent favorites!"